Prebijem sa! Štefánik. Muž železnej vôle (I shall prevail! Štefánik – a Man of Iron Will). By: Jozef Banáš. Publisher: Ikar, Bratislava, 2018. These were the touching words of Evangelical Bishop Samuel Zoch at Milan Rastislav Štefánik’s funeral on May 11th 1919 in Bradlo, close to the general’s native village of Košariská in western Slovakia. The Czechoslovak government in Slovakia – which had to fight for its survival until the Treaty of Versailles would grant recognition of the new state and its southern borders – demonstrated its gratitude with a state funeral and a beautiful sepulchre (mohyla) that was worthy of a king. Bishop Zoch expressed what everybody mourning a loved one feels at the funeral: do not go away, stay with us. How to make sense of Zoch’s words? How could one possibly kill a person who is already dead? I think Bishop Zoch meant that we can kill a beloved person only by extinguishing his or her memory, destroying his or her reputation, wiping away the memories of all the good this person had done. Eternal life exists, but only in the metaphysical sphere – one lives on in the loving memories of others. Štefánik would live forever in people’s hearts and minds, but only if they understood what he had achieved, what had been his principal inspiration and why he had acted the way he did. 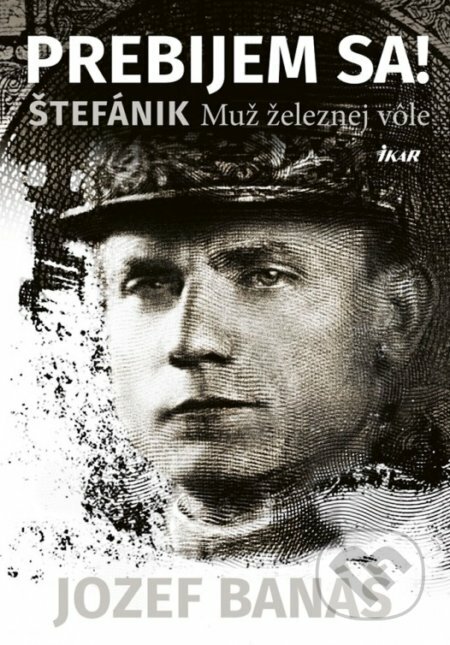 Hence, Slovaks and Czechs should honour Štefánik’s life with a commitment to independence and cherish liberty in their new state; liberty for which the general had given his life. Štefánik was thus a role model for citizens in the only democracy in Central Europe during the interwar years. Jozef Banáš’s latest novel is a tour de force in matters of historical research – and the narrative about Štefánik’s life and achievements never flags, not for a second. Who was Milan Rastislav Štefánik? He was a patriot of a nation threatened by extinction; he loved science and research and achieved a doctorate in astronomy from the prestigious Sorbonne University. He was self-confident, but not arrogant, and he had come up with a political plan that would prove successful: the idea that an army of Czech and Slovak soldiers, fighting on the side of the Allies, would establish an independent state of Slovaks and Czechs, that is, the army of a state that does not yet exist, fighting for a future state. Thanks to Štefánik’s good connections in French political and diplomatic circles, Tomáš G. Masaryk and Edvard Beneš were able to convince the Allies, before the end of the First World War, that the Slovaks and Czechs deserved a state of their own just as much as the Poles (an independent Polish nation state was one of the goals of US President Woodrow Wilson’s (1856–1924) famous list of 14 Points). To write a historical novel requires poetic imagination and an excellent command of the historical material. Banáš already proved with his earlier novel about Alexander Dubček (Bratislava: IKAR, 2009) that he has mastered this complex genre to perfection. A historian’s task is to interpret a historical situation according to the documents he or she has found in the archives. Naturally, historians do not really know exactly what happened, but they can explain to their readership how things could have happened, based on the documents, with a rational explanation and interpretation of the source material. Thus, a historian must tread very carefully; there is no scope for making things up and, in the end, there is only the night, the darkness of not knowing. A historians’ interpretation is like a searchlight piercing the darkness and, if they are lucky, dealing with events within living memory; they will have at their disposal the testimony of eyewitnesses who provide their own subjective memories of the particular situation. Not so for an author of historical novels: he or she is much more at liberty to invent details to explain a situation with the imagined thoughts of someone involved in the historical context. This is the keystone of Banáš’s talent. He puts himself in the mind of Štefánik, explaining to the reader what the astronomer might have thought, during the many difficult situations he faced in his life. The novel follows Štefánik’s upbringing in the house of his father, an evangelical pastor and Slovak patriot. The family was well connected to the first generation of Slovak patriots, the generation of Ľudovít Štúr, Jozef Hurban and Michal Hodža. With the Magyarization of the non-Magyar nations in the Hungarian kingdom peaking after the Ausgleich of 1867, Slovaks could achieve university education in two ways: either by studying at Budapest University or completing the maturita in a Moravian gymnasium and then going on to study in Prague. The reader learns how Štefánik suffered from stomach pains, sometimes so bad he could not leave his bed, and only ate dry biscuits and drank tea. He pushed himself to his physical limits when climbing Mont Blanc with a group of French astronomers; in spite of his poor health, he also travelled to Tahiti, the United States, and later to Siberia, to motivate the Czechoslovak Legiato fight Trotsky’s Red Army. Although not a tall man, Štefánik was larger than life, and his charisma and mental strength impressed everyone who met him. Politicians, scientists and diplomats admired and respected him, and the young ladies of the Parisian and Roman haute volée, all from influential families, were smitten by his decency, respect and humorous charm. He respected women and took them seriously, explaining to them the deplorable situation of his fellow Slovaks, who had to live under Magyar oppression. Raised in the evangelical moral code, Štefánik respected women and always behaved with impeccable courtesy towards them, but he was also true to himself. When he fell in love with the Italian Countess Giuliana Benzoni, he was sure of his feelings and proposed to her. They set the date for the wedding shortly before he arranged to fly to Bratislava because his old friend and governor of Slovakia, Vavro Šrobár (1867–1950) – the former editor-in-chief of Hlas, a physician from Ružomberok and adherent of Masaryk’s – had asked him for help. The astronomer, general of the French Army and Slovak patriot died the way he lived – with iron discipline and courage under fire. He insisted on flying to Bratislava, although Italian officers advised him to travel by train. Milan wanted to get to Slovakia as quickly as possible to see his family and support the Czechoslovak cause in Slovakia. His plane crashed shortly before landing in Vajnory, outside Bratislava. To this day, there are “open secrets” and conspiracy theories, and Banáš summarises them in his epilogue. Štefánik died because of the weather and aircraft failure. Three Italian army officers died with him. It was an accident. But what did not die with him was the Slovaks’ hope for a better life. I trust that an English translation of this wonderful and touching novel will be available soon. Josette Baer is a lecturer in political theory with a focus on Eastern Europe at the University of Zurich, Switzerland.